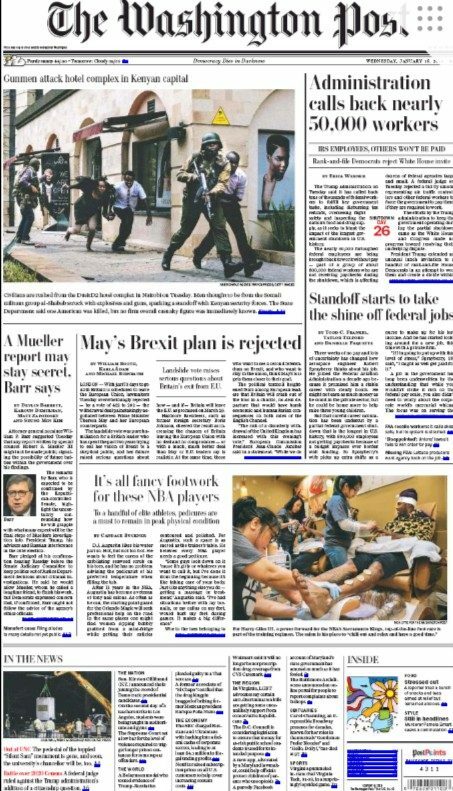 An impostor newspaper designed to resemble the Washington Post was distributed around downtown Washington, D.C.
One tactic frequently employed by purveyors of fake news is to disguise their misinformation in the dressings of a legitimate news outlet. A number of fake news websites, for instance, decorate their pages with the official (but unaffiliated) logos of genuine news publications and use URLs that seem at first glance to correspond with the landing pages of legit news sources. In January 2019, this scheme was taken to the next level as an anonymous party published a fake print edition of the Washington Post and distributed it in the downtown area of Washington, D.C.